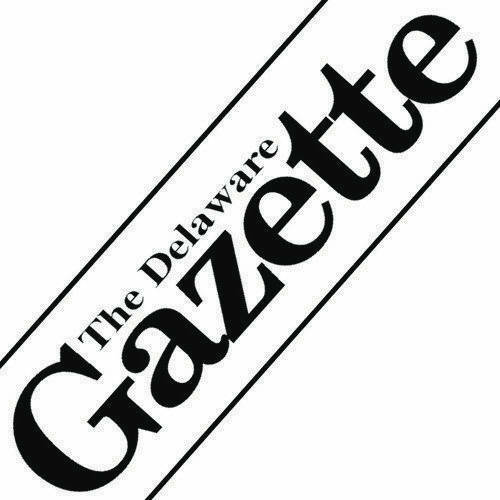 Tree of Life standout Mallory Garbe scored eight straight points in the fourth quarter, but freshman Katie Neuhart answered with four straight to help the Delaware Christian girls basketball team regain control on the way to a 52-34 MOCAL win Saturday in Delaware. The Eagles were in control most of the way — something they can thank the defense for. Lyssi Snouffer led the Eagles with 21 points, 35 rebounds, four steals, four assists and three blocks. Abbi Maurer added 13 points, eight rebounds and four assists and Neuhart had eight points and eight boards in the win. Lauren Perone had 15 points to led the Pioneers in Saturday’s season-opening setback at the hands of the host Cardinals. Thomas Worthington built its cushion in the second and third quarters, outscoring Orange by a combined 31-13 margin. Ben Roderick led all scorers with 29 points and Nick Nakasian added 18, but DeMarco Bradley scored what proved to be the game-winning bucket with 40 seconds to go as Cincinnati Taft outlasted Olentangy Liberty 74-73 in Saturday’s season opener in Gahanna. The Patriots trailed 57-52 after being outscored 22-16 in the third quarter. They outscored Taft 21-17 in the fourth to account for the final margin. Henry Hinkle and Joey Thatcher also finished in double figures for Liberty, closing with 11 and 10 points, respectively. Andre Irvin poured in a game-best 22 points, Bryson Lane added 13 and Nik Brannon chipped in 10 to lead the Pioneers to a non-league win over the host Presidents Saturday in Marion. Orange started fast and never looked back, outscoring Harding 9-2 in the first quarter. Delaware Hayes’ girls swimming and diving team started the season with a solid showing in the pool, knocking off visiting Hilliard Davidson 132-32 on Saturday. Pacer standouts included Elizabeth Abahazi, Maddie Richardson, Rena Ouyang and Valerie Keller, who teamed up to win the 200-medley relay (1:55.96). All four also won events as individuals. Abahazi took top honors in the 200 IM (2:26.87), Keller won the 50 freestyle (26.11 seconds) and 100 freestyle (57.28 seconds), Ouyang won the 100 butterfly (1:03.29) and Richardson won the 500 freestyle (6:06.30) and 100 breaststroke (1:13.65). Other Hayes winners included Kelsie Keeder in the 1-meter diving event (182.40) and Abby Richardson in the 100 backstroke (1:15.61). Hannah Kelly, Ana Williams, Abby Richardson and Katie Amrine also earned first-place points, picking up a win in the 200 freestyle relay (1:58.04), and the 400 freestyle relay team of Abahazi, Kailyn Smith, Lauren Ertz and Emily Abahazi won its event (4:09.33). Hayes winners included Lucas Pape in the 200 IM (2:14.26), Sam Sulek in the 1-meter diving event (290.10), Kael Gannon in the 100 butterfly (59.16 seconds) and 500 freestyle (5:25.64) and Paul Carter in the 100 breaststroke (1:03.65). The Pacers also won the 400 freestyle relay as Gannon, Carter, Aidan Stojkov and Pape combined to finish in 3:37.03.